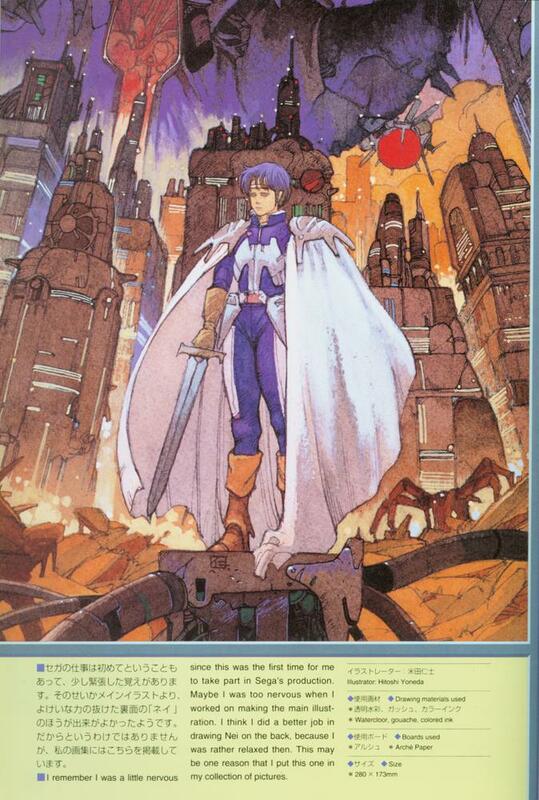 Only two pages in Sega Video Game Illustrations are devoted to coverage of Phantasy Star II. The first page, shown here, places a spotlight on the Japan release's box cover artwork. In this book, it is not covered with logos or other text that might obscure the artwork. A short comment from the illustrator, Hitoshi Yoneda, graces the bottom of the page. Yoneda gives his personal opinion and some insight to this picture's history. That's a totally awesome scene! The PS character looks cool, and the background is fantastic! !